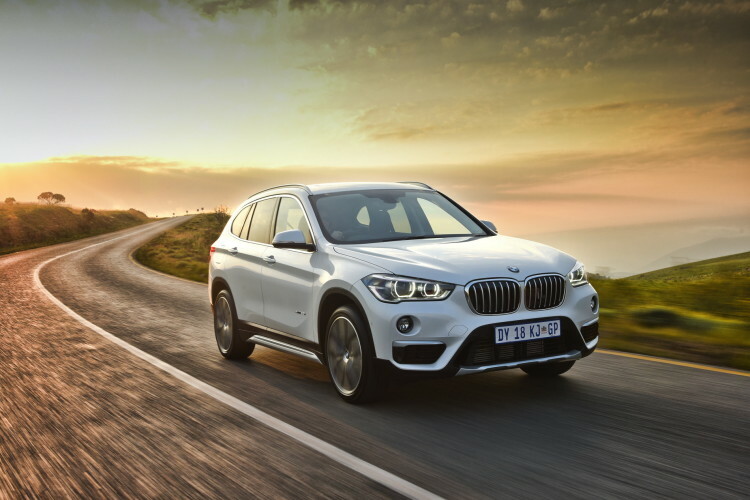 The second generation of the successful BMW X1 – more than 730,000 units sold globally – makes its debut in South Africa. 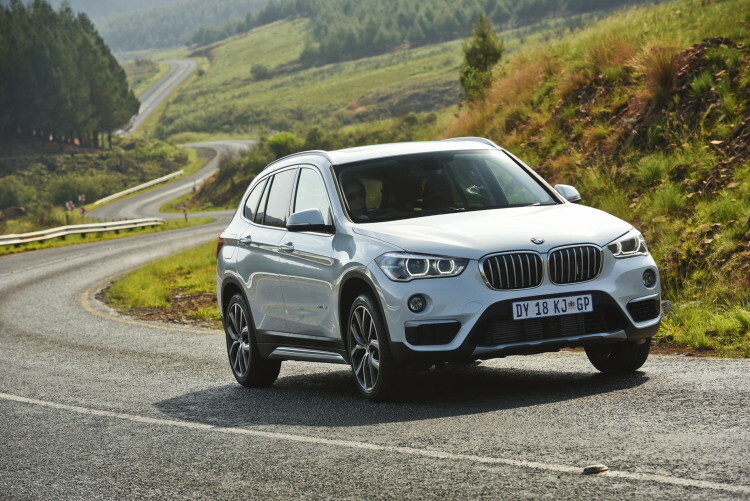 These new photos showcase the BMW X1 F48 in the more rustic designed xLine version with matte silver accents which emphasize the offroad character of the compact SUV. The compact SUV was introduced in South Africa with the Chestnut Bronze Metallic color – a color initially only available for the X1 and which offers – depending on the light – a completely different color experience. The other launch model is a classy Alpine White. BMW’s second generation X1 will be available with such new options as Dynamic Damper Control, Adaptive Cruise Control, a Panoramic Moonroof, a Heads-Up Display and even Traffic Jam Assist which will take over driving at up to 37 mph and can control speed, proximity to other vehicles and lane-keeping. There are ten exterior colors offered: Dark Olive Metallic, Sparkling Brown Metallic, Chestnut Bronze Metallic, Mediterranean Blue Metallic, Glacier Silver Metallic, Mineral Grey Metallic, Mineral White Metallic, Jet Black and Alpine White. 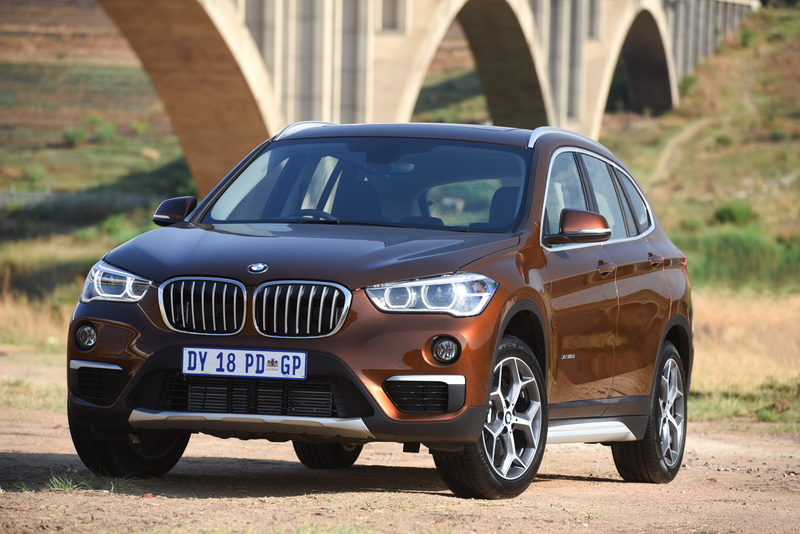 The 2016 BMW X1 has grown quite a bit over the previous model, sprouting 53 millimeters in height, with a 36 millimeter raise in the front seating position, to give the X1 a more commanding view of the road. This increase in size, and switch to front-wheel drive architecture, has also given the X1 better interior space, to the tune of 37 millimeters more rear knee room and 85 liters more cargo space, bringing the total to 505 liters. 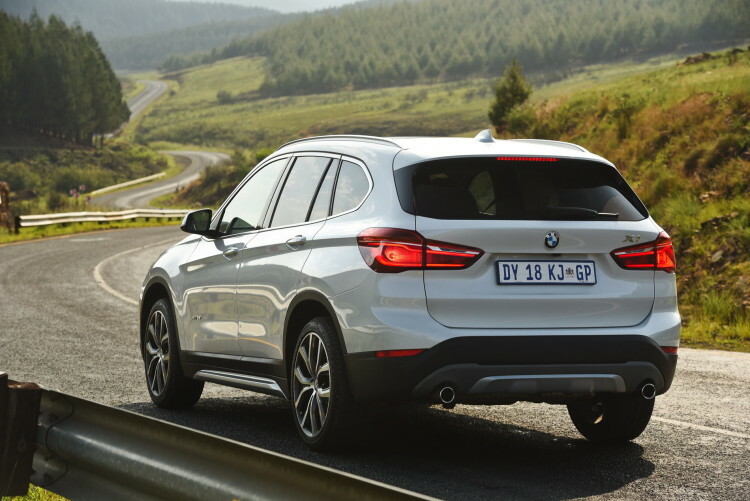 With the rear seats folded down, the X1 has 1,550 liters of cargo space. Four-cylinder engines from the BMW’s latest generation of power units, an efficiency-optimized version of the BMW xDrive intelligent all-wheel-drive system and newly developed chassis technology all help to palpably enhance sporting ability and ride comfort compared to the outgoing model – with fuel consumption and emissions reduced by up to 17 percent, model-on-model. Two petrol and one diesel unit will be available from launch in South Africa, all of which have four cylinders.